"Oh, come on...not you too. Don't be scared." A dinosaur as a friend usually doesn't end well (unless you're Chris Pratt). There's something to be said though about a dinosaur who does want to be your friend as they could do all sorts of cool things with you. Monty is one such dinosaur in Monty the Dinosaur #1 from Action Lab Entertainment. The issue is written by Bob Frantz and illustrated by Jean Franco. 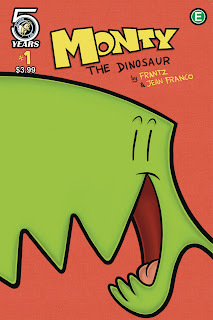 From the outset Frantz makes it pretty clear that Monty the Dinosaur #1 is meant to be pretty airy and harmless. Monty is a dinosaur looking for friends and Frantz does a pretty solid job of setting that up for the series to progress. There's some pretty innocent humor throughout the issue that plays on a dinosaur interacting with children much like a new kid moving to a new town. And Frantz gives Monty plenty of personality, drawing upon his physical limitations as a dinosaur in a way that's self-deprecating. The dialogue is pretty amusing as well, offering delightful exchanges among the characters that further provide a cheerful demeanor. Buoying the generally buoyant spirits of Monty is Franco's illustrations. Franco illustrates Monty with an emphasis on friendliness, giving the dinosaur enough characteristic where he's easily recognized as a dinosaur, but not so much that he's terrifying. There is pretty clear inspiration taken from newspaper strips in how Franco lays out the panels in a straightforward way. And Monty fills each panel he's in for the most part, emphasizing his massive size as a dinosaur--especially when compared to kids. The colors are equally as bright and vivid, giving the book even more of a feel-good feel. 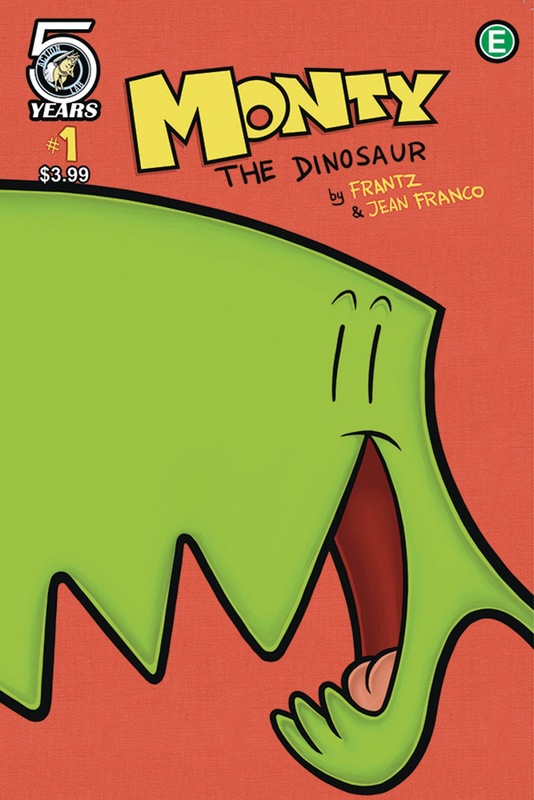 Monty the Dinosaur #1 is a pretty harmless, all-ages book. Monty is a loving character who just wants to have fun and the scenarios he finds himself in are pretty entertaining. The narrative by Frantz is equal parts amusing and endearing. Franco's illustrations are very light and airy. Monty the Dinosaur #1 will have a lot of appeal for younger readers more so than adults. Monty the Dinosaur #1 is in stores now.